Gifted to the Town by Mr Tony Clarey in memory of his parents Derrick & Stella Clarey this new defibrillator is at the rear of the Community Library - who have volunteered to check and manage this life saving facility. It is easily accessible from Roy’s Car Park. 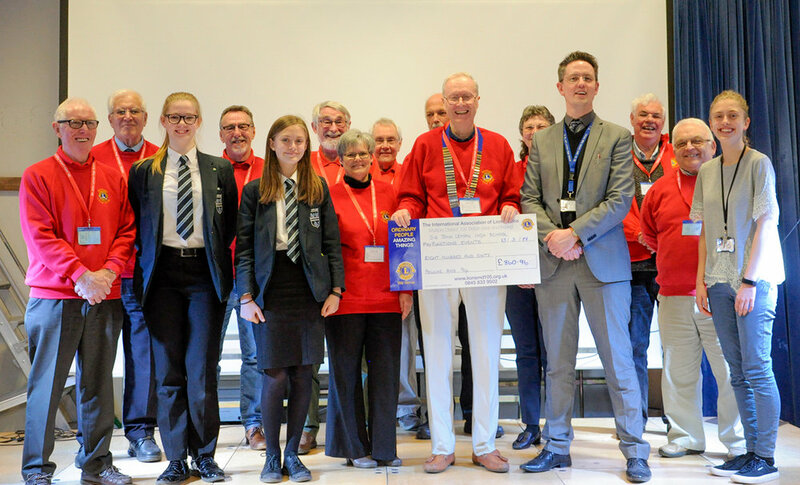 Tony Clarey - whose life was saved by the use of a defibrillator approached Beccles & District Lions Club, who, with money raised by local people, have previously arranged for placement of a machine at the CAB in the Town Centre and another at Beccles Railway Station. Lion President - Chris Lambert thanked all who helped to make the placement of this latest machine possible. For over 10 years the church and its volunteers have been filling empty shoe boxes with Christmas presents and goodies, sending them to orphanages in Moldova. This box of Christmas joy is often the only Christmas present the children will receive and has always lifted their spirits at Christmas time.